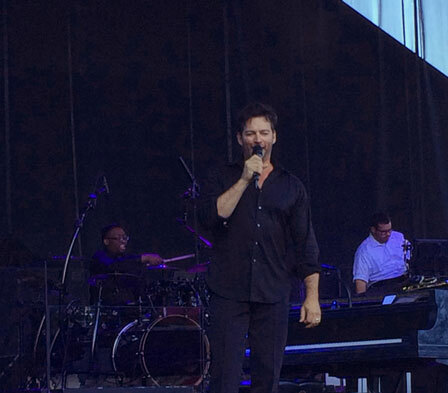 The first of two sold-out Harry Connick Jr. concerts at Woodinville, Washington’s Chateau Ste. Michelle Winery was a two-hour revue of New Orleans jazz. 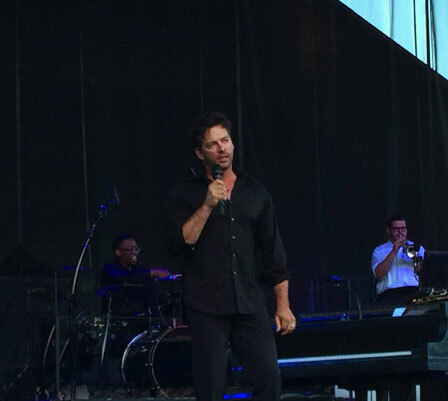 Backed by a ten-piece band, most of whom were spotlighted throughout the evening with generous solo spots, Connick was the consummate entertainer. 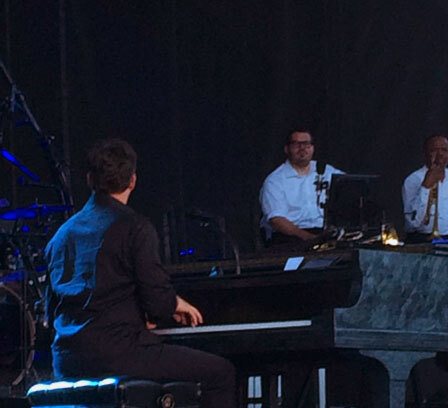 Those seeking the crooner ballads that made him a star over a quarter-century ago were placated early with swinging renditions of “It Had to Be You” and “The Way You Look Tonight.” But the July 18, 2015 concert was dominated by the interplay amongst Connick’s band members. FANIELS ALERT! Yes, one of the most divisive American Idol Season 14 finalists was in the house: Vancouver, WA’s Daniel Seavey. The 16-year-old ninth place-finisher bounded around the stage singing “How Sweet It Is (To Be Loved by You).” Connick talked enthusiastically about how happy Seavey was even after being eliminated from Idol, simply because of all the experience the show had brought him. Seavey’s sister had the best seat in the house, along with Connick’s own daughter – the teens were seated right on the stage (in fact, a group of women asked Connick’s daughter to take a photo of them, and she happily obliged!). Daniel Seavey’s well-received Motown moment wasn’t the only time Connick shared the vocal spotlight, as guitarist extraordinaire Jonathan Dubose Jr. was featured as well. 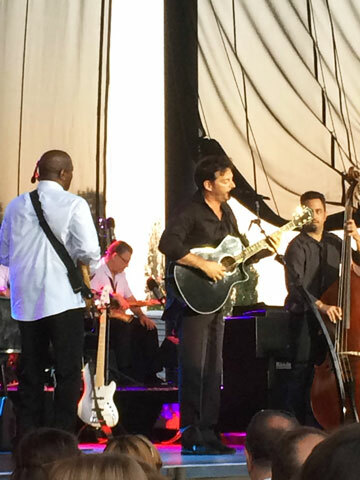 With a new album due in October, Connick also treated the audience to a trio of brand-new songs: the first was a moody ballad, the second a folk-ish number dedicated to “all the married couples” (which featured Connick picking some acoustic guitar licks), and the third an uptempo groover. During the jam-oriented encore, another woman managed to climb onto the stage, dancing with Connick briefly and stealing a quick hug before being ushered out of the venue. On a slightly more sane note, several fans delivered snacks and drinks to the stage. One gentleman even had three mango lemonades, each labeled with a different band member’s name. “What about the rest of the band?” asked Connick, “There’s like ten guys up here!” Among the more improbable snacks: an older lady brought up a half-eaten bag of grapes. Connick cracked wise about the possibility of being poisoned. Later, slices of cake were distributed amongst the rows closest the stage to honor the birthday of Connick’s longtime audio technician. As a matter of fact, I politely declined another concertgoer’s offer of a partially-eaten piece (he expected me to take a bite right off his dirty fork and then pass the same piece down the row). While another song or two would’ve been preferable to all the birthday shenanigans (Connick personally delivered pieces to some attendees), it was as tremendously crowd-pleasing show. Connick’s solo take on “Junco Partner” and a full-band rave up on Allen Toussaint’s “Yes We Can Can” were particular highlights.